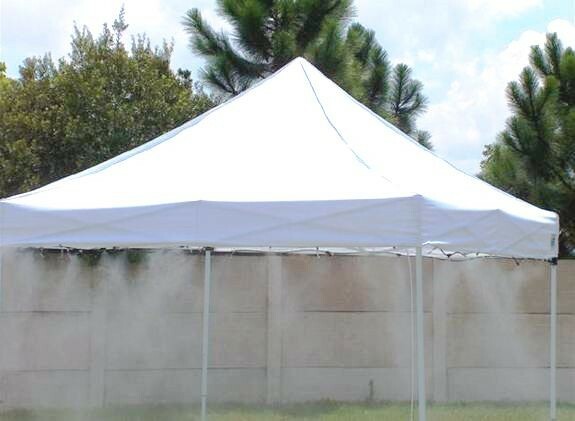 An ideal accessory for your canopy tent, the high-pressure misting system by MistCooling provides the ultimate in canopy misting technology while remaining easy to install and operate. The twenty high-pressure nozzles in this preassembled misting system get plenty of support from the included, commercial-grade 1500 psi booster pump, giving a cool, relaxing mist of refreshing water vapor. Installation takes just seconds, but the rejuvenating spray will be appreciated each time it's used. 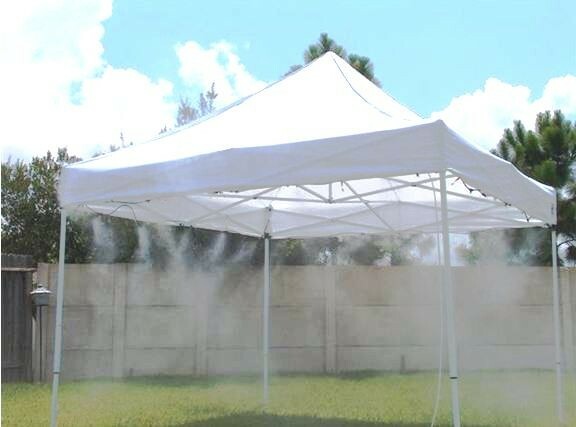 Beat the heat and feel good doing it with this amazing canopy misting system. Made for use with 10' by 10' canopy tents.